For many of us, trying to lose weight, gain weight, get tone or even "shredded" can be mentally and physically exhausting. Not to mention the emotional ups and downs that seem to tag a long as well. During my weight loss journey, I have had many, many ups and downs. From struggling to stay on track of my diet, getting to the gym consistently or even rewarding myself with a night out with friends or a new pair of shoes. Within these past few years of body reconstruction, I have found that the one thing that keeps me on track more than personal desire is a GREAT partner! Someone to share the highs and lows, someone to look up to and help guide you... and most importantly MOTIVATE YOU! 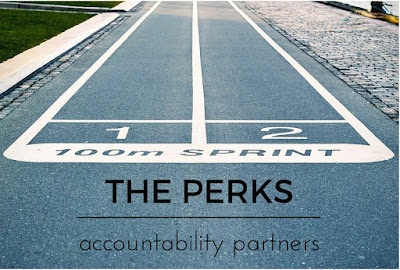 So if you are considering having a gym buddy or accountability partner, here are a few perks to consider! 1. Someone to push you- This is number one for sooo many reasons. Whether or not we all admit it, we have some form of competitor inside of us and when we are giving it all we got, that one person can bring out something we didn't even know we had. 2. A trainer- For those that have a trainer, they usually see faster results. Most trainers have an abundance of knowledge when it comes to diet and effective workouts. They guide you in the right direction so you have fewer lows on your journey. 3. Someone to prep with- When it comes down to body reconstruction, everything falls on what it made in the kitchen. If you have ever food prepped before, then you know just how time consuming and how much planning goes into it. But if you have a partner to do it together with, then time, money and planning will be a lot less expensive and stressful. By planning together you have two brains conjuring up delicious ideas. When buying the food you need, it can get expensive. So splitting the bill and buying in bulk definitely stretches your money. Plus it's always fun in the kitchen when you have someone else helping with all the labor! 4. Someone to help you take risks- With a new body comes new clothes. Maybe before you would only stick to one color or style but having someone there to encourage you to try new looks, or colors will definitely keep you positive and motivated. When you see change you want more! Plus it gives you more confidence when you notice the new you! I'm sure there are many more reasons why you should have an accountability partner but these are a few of my favorite reasons. No matter what the struggle, no matter how long it has taken or how much passion you have for change, make sure you have someone that has your back and be there for someone else that may not be as strong as you! What do you love about having an accountability partner? Let me know below!